What is A-level Film Studies? As a liberal arts subject, it has links with many other subjects including Psychology, English, Philosophy, Theatre Studies, Modern Languages, History, Media Studies, Government and Politics, Art and Music. A more traditionally academic subject than the title suggests, Film Studies is designed to deepen students' understanding and cultivate their appreciation and enjoyment of film. This will consolidate the cine-literacy students will have developed informally since childhood. University research concludes that students find Film Studies a very popular choice, highlighting the opportunities for debate and cross-curricular study. Students will study Cinema as a medium, as an art form, and as a social and economic institution. They will also engage with a wide range of different kinds of film, developing skills of observation, critical analysis and personal reflection. Looking forward to undergraduate study, they will learn to use the work of academic experts and theorists (from Film Studies and other disciplines such as Literature and Psychology) in their own analysis. In addition, Film Studies has a strong practical element and students will experience the practical demands of filmmaking and create their own films. Their study of filmmaking and analysis is supported by field trips and talks with visiting filmmakers. What makes a good Film Studies student? Enthusiasm. We do not expect an extensive knowledge of films, or of film production, but students are encouraged to go beyond their existing knowledge with the films screened. Students will engage with a wide variety of films and undertake independent research. Students are encouraged to develop their own areas of interest, and should expect to be watching films regularly in their own time. In terms of formally assessed work, it is important students develop good essay writing skills and critical thinking skills through the year so that they can deconstruct a film. What can I expect to learn in Film Studies? Our aim is for students to become familiar with a range of cinema, from blockbusters to documentaries to short films. 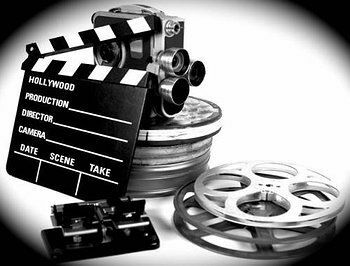 Students will develop their knowledge of film theory and will learn how to plan, script, shoot and edit their own films. Complementary to other A-Levels and further studies at university, students will learn the fundamentals of critical analysis and good essay writing. This makes Film Studies a good all-round choice to develop a range of practical and written skills. Where could Film Studies take me? A-Level Film Studies will provide a strong base for undergraduate studies in Film Theory and Film Studies. Many students go on to study Film and Film Production at university. Film Studies students go on field trips and attend talks by visiting speakers. Past trips include trips to the British Film Institute (BFI) in London for talks and researching film. Past speakers include a workshop by the British Board of Film Classification (BBFC), a filmmaker from an advertising agency and an actor who has worked with director Guy Ritchie. Students will be offered support and advice on their own creative work if they wish to enter festivals and competitions.